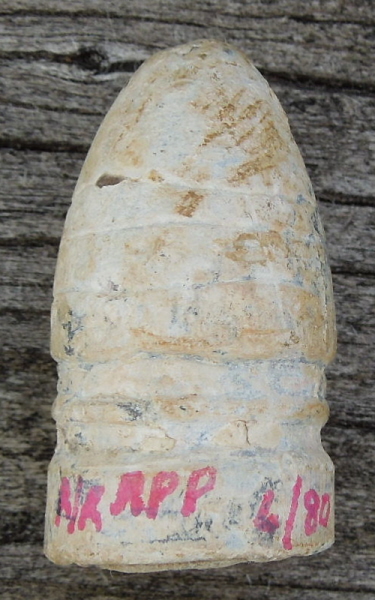 Description:Mint 58 caliber Gardner bullet. 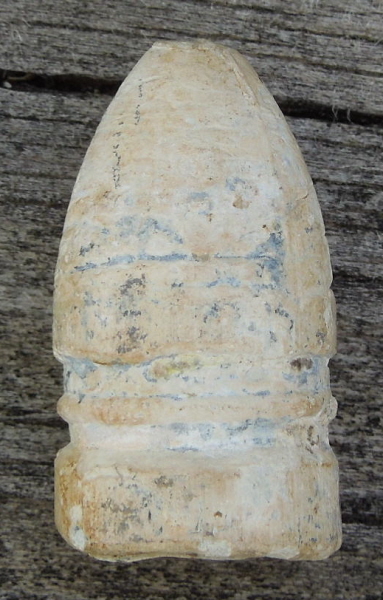 While this is the iconic bullet of the Confederacy, they were not in much use at the end of the war. 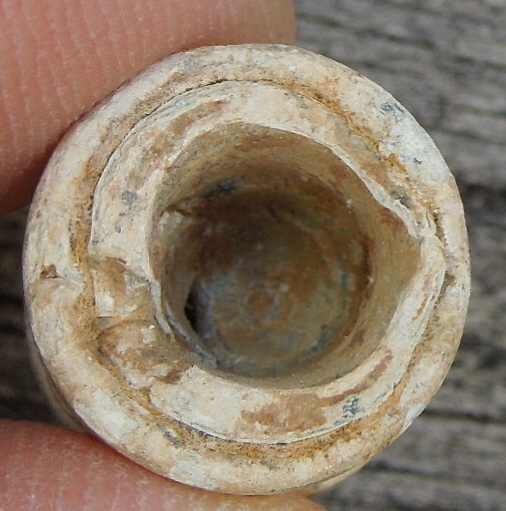 In fact, this type was even more obsolete as it has the deep cavity that was susceptible to "blow thru" upon firing. These had been supplanted by ones with a shallower cavity and a dot in them to try to remedy this issue before use of Gardners was discontinued altogether. This shows that the Confederate Army was scraping the bottom of the supply barrel at the time of the retreat. It is marked "RR" for "retreat route," "APP" for Appomattox, and the recovery date of 6/80. I got this in a bunch of bullets from the retreat route. I have a few others of this type and others from Sayler's Creek and one for Spottsylvania Court House which is not on the retreat route, but marked that nonetheless.